I’m in total shock that it’s already Secret Recipe Club time again! I’m embarrassed that it’s been almost a month since my last post. I know we’ve been extremely busy between serving at Marriage Encounter weekend and getting sick for almost 2 weeks out of this month. Wow…..I fought like crazy to stay well, but this sickness really took a lot out of me. I’m feeling better now, thank goodness! Time slipped away, and while I certainly wanted to be here….well time didn’t permit. I hope this recipe makes it up to you though. This dip is INCREDIBLE!! I just know you’ll love it. How many of you have heard of Muhammara? 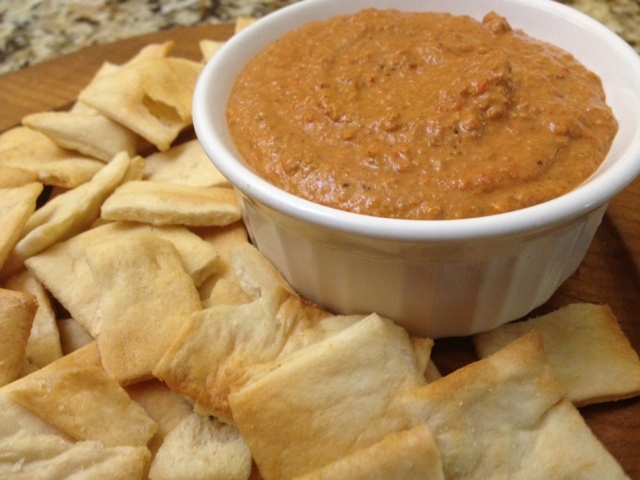 It’s a middle eastern dip made with roasted red peppers, and it is out of this world good! Last spring, hubby and I went to the downtown area of West Palm Beach to visit the green market. It was at the height of our Daniel Fast while we were eating healthy and cutting out sugar. I was enjoying the beautiful morning weather, and being up and out so early on a Saturday morning together. 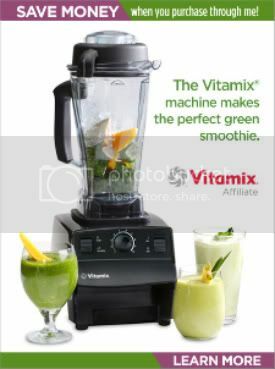 My hubby was impressed with the abundance of fresh green veggies and great prices of them. At one of the booths, a greek restaurant was giving out samples of different dips on pita toasts. Muhammara was one of them, and I was blown away. I was hoping one day to recreate it, but never thought it’d happen. Imagine my surprise when I was cruising through the wonderful recipes on Manuela’s blog “Manu’s Menu” and stumbled onto the recipe. Yay! I’m thrilled to now make this dip whenever I want to. I was excited to see how easy it is, and the one unique ingredient….pomegranate molasses….was easy to find at Whole Foods. I loved pouring over Manuela’s blog. She’s from Italy, but lives in Australia. She loves cooking, and shares many authentic and diverse recipes from all over. I hope you’ll check out Manuela’s blog….and definitely make this easy dip. It’s such an impressive recipe. Toast walnuts on low heat and set aside. It’s nearly pomegranate season in Australia, and nearly capsicum (red pepper) season too. For a couple of months you can get both fresh together, and Muhammara made then, with fresh pomegranate juice in place of mollasses is magnificent. I just tried Muhammara for the first time at our gourmet group….you are right it is quite tasty! I am so happy to find this recipe. Visiting form Group B…..Great SRC selection. I’ve never tried this dish before, but I think this is a easy and flavorful addition to try instead of my standby hummus! This dip sounds AMAZING. A must make. Glad to be part of SRC group C with you. Never heard of this dip before, but I love Middle Eastern food. This looks delicious!! I have never had this, either… I’ll have to try it, especially since I’ve got all the ingredients! Glad you’re feeling better! How interesting. This looks soooo good. This sounds absolutely delicious! Great pick! Oh I know exactly what you mean – fighting the illness. Sometimes it wont let go! I’m glad you’re feeling better! I know and LOVE muhammara. I love it as a dip, but also as a pizza spread! Love it. I’ve never tried muhammara, but I would love to try to change up our standard hummus routine. Yum! You’ll love it! Let me know what you think.